I hear many homeschooling parents talk about their kids losing the enthusiasm they had for school. This can happen, especially if you are pushing them too hard and too fast. The beauty of homeschooling is about finding the flexibility that allows you and your kids to achieve the learning goals they have. Should you happen upon a time when your homeschooler does not love school, do not despair. There are some steps you can take to bring back a love of learning to your homeschool. When you feel that you child(ren) are losing interest in school or they dislike being homeschooled, perhaps it’s time to relax a bit and take a reflective stance. You could both be overwhelmed and instead of forcing them to do something they do not love, you should be open to compromise. Perhaps what your child needs is a little break from everything? A break could be a good thing for you too. It will allow you to sit back and reflect on what could be causing an issue. By taking a break, you will be able to evaluate your homeschool and determine what your next step should be. 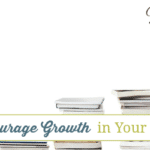 Maybe you’ve lost track of the goals you had set out to accomplish through homeschooling. Diversion from those goals could lead to your kids feeling like they are not getting what they should from your homeschool. 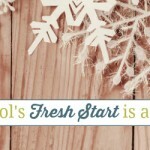 Start off by considering why you set out to homeschool in the first place. There are a number of important questions to ask yourself to help you re-evaluate your homeschooling goals. What was the original goal? Is this working out for you anymore? Do you need to re-think these goals? If you have deviated from your original goals, it’s time to consider a re-evaluation. Involve them as it is their education we are talking about, not yours. When you let your kids become part of their education and offer an opinion on what they want to achieve, you will be creating an avenue for successful homeschooling. I encourage you to involve them in every step of the way, right from the beginning. They can help choose their own curriculum, design their schedules, plan their homeschool days and more. 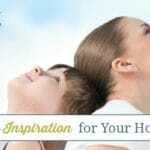 One of the best ways to achieve homeschool success is by being faithful to work with your children’s interest in mind. It is important to ensure that our homeschool plans for our kids aren’t focused on what we wish we’d learned as part of our education. Our children are not us and their interests are what needs to drive the plans we make for their education. Discover about what your kids love doing by observing them and by asking them. Find a way to work with their interests. 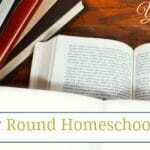 Determine how to wrap your homeschooling goals around these interests. Remember that every child is different and their education should be tailored around how they learn best and what they enjoy. For instance, if one child learns better through observation, let them watch educational videos. If another child learns better through projects and hands-on activities, create interesting projects for them to undertake. Homeschooling should be an enjoyable experience for the entire family. There is not one way to homeschool your children, so if your homeschooler does not love school — change things up! 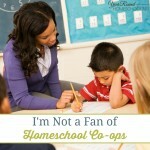 What do you do when homeschooler does not love school?